Plenty of gold accessories to match. 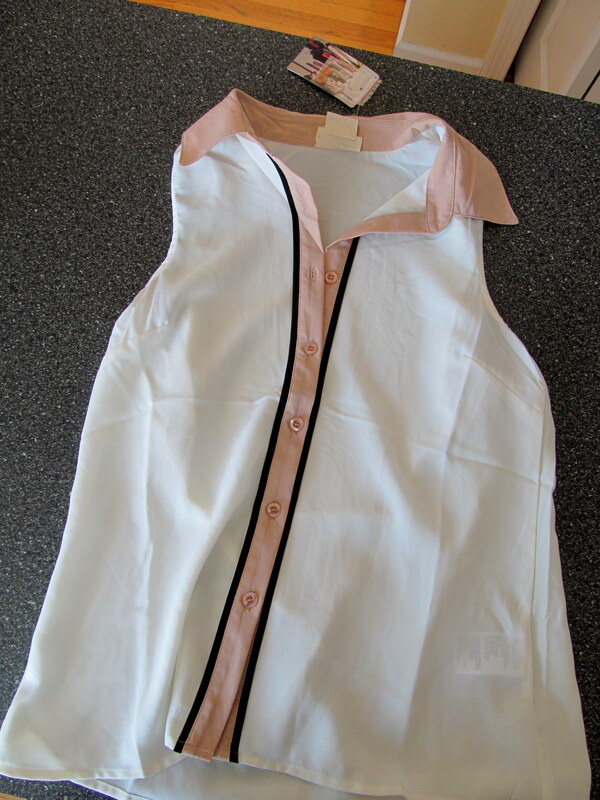 The below top was another Urban sale rack find and it reminds me of a hip bowling shirt – Alley Cats Strike anyone?! Can’t wait to rock this with a rose gold watch. LOFT was (and still is) having a fabulous sale…30% off already-reduced prices. Had to let my fellow LOFT-lova Christina know during my Foursquare check-in. 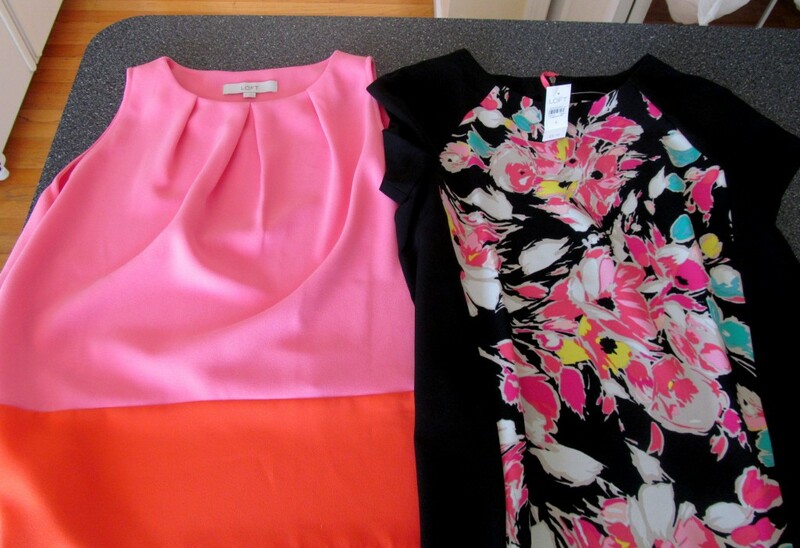 The Pleated Neck Colorblock Cocoon Shell (left) reminds me of Megan from Mad Men – she’s a style icon of mine. I told Kaitlin the Floral Inlay Tee (right) was made for a single girl because the zipper on the back has a little ribbon on it that makes it easy to self-zip! 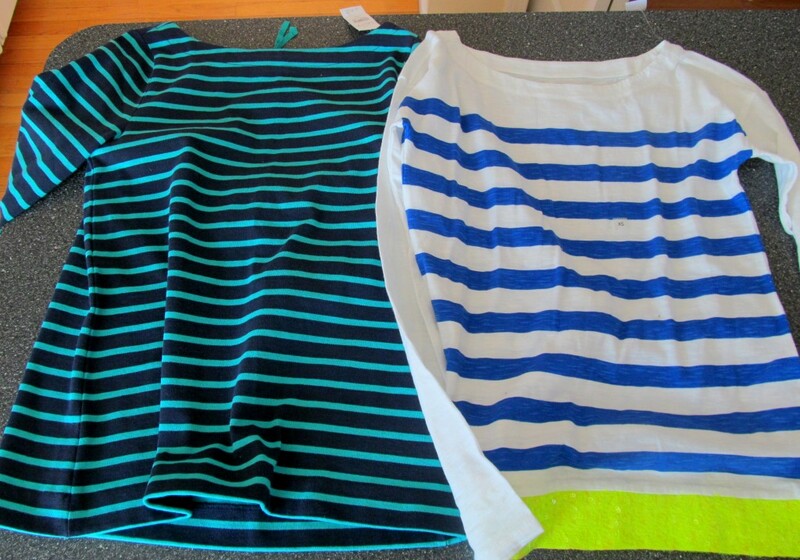 The Striped Cotton Structured Knit Top (left) has the so-in-right-now exposed zipper in the back and I love it. It’s hard to tell in pic but the striped top on the right has a sequin hem – I LOVE that little touch of flashy color pop. I walked away with more than the finds pictured above…Kaitlin also gifted me some of her tops that she doesn’t find herself wearing anymore. 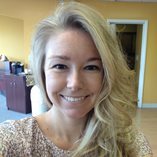 I wore the white shirt below to work yesterday and got several compliments. Sometimes all you need is a white top, tall brown boots, and the right jewelry! Work is cray-cray today and my lunch break is over so off I go. Lots of fun planned for the blog next week including a recap of the Argentinian wine dinner I attended at Barcelona in West Hartford on Wednesday night, and a giveaway for tickets to see a certain Food Network celeb live in Hartford! Have a great weekend everyone! I know I”m ready for it. What are you most excited for about the weekend?